Description: The Mindcraft Bounce House rental is 200 sq ft. of great bouncing fun. There's a large colorful graphic banner right over the entrance to greet all your friends This bounce house features larged netted vent windows around the exterior that keep things cool for bouncing, while allowing parents a clear view of activities inside. 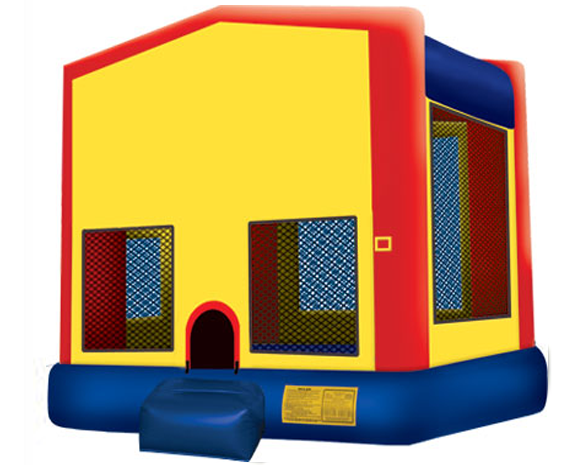 Everyone will enjoy the Mindcraft bounce house rental.